The information on this website is provided “as is” without any representations or warranties, express or implied. 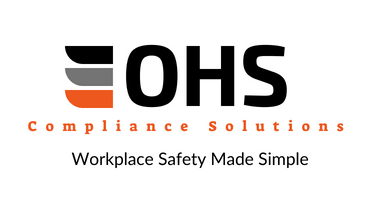 OHS Compliance Solutions makes no representations or warranties in relation to the information on this website. You must not rely on the information on this website as an alternative to specific advice. If you have any specific questions about any matter you should consult with us, or another qualified professional. You should never delay seeking advice, disregard advice, or commence or discontinue any action because of information on this website. These limitations of liability apply even if OHS Compliance Solutions has been expressly advised of the potential loss. matter which it would be illegal or unlawful for OHS Compliance Solutions to exclude or limit, or to attempt or purport to exclude or limit, its liability. You accept that, as a limited liability entity, OHS Compliance Solutions has an interest in limiting the personal liability of its officers and employees. You agree that you will not bring any claim personally against OHS Compliance Solutions’ officers or employees in respect of any losses you suffer in connection with the website. Without prejudice to the foregoing paragraph, you agree that the limitations of warranties and liability set out in this website disclaimer will protect OHS Compliance Solutions’ officers, employees, agents, subsidiaries, successors, assigns and sub-contractors as well as OHS Compliance Solutions. Your privacy is important to OHS Compliance Solutions. This privacy statement provides information about the personal information that OHS Compliance Solutions collects, and the ways in which OHS Compliance Solutions uses that personal information. any other information that you send to OHS Compliance Solutions. Where OHS Compliance Solutions discloses your personal information to its agents or sub-contractors for these purposes, the agent or sub-contractor in question will be obligated to use that personal information in accordance with the terms of this privacy statement. In addition to the disclosures reasonably necessary for the purposes identified elsewhere above, OHS Compliance Solutions may disclose your personal information to the extent that it is required to do so by law, in connection with any legal proceedings or prospective legal proceedings, and in order to establish, exercise or defend its legal rights. OHS Compliance Solutions will take reasonable technical and organisational precautions to prevent the loss, misuse or alteration of your personal information. OHS Compliance Solutions will store all the personal information you provide [on its secure servers]. OHS Compliance Solutions is not responsible for the privacy policies or practices of any third party.